Description: Originally published in 1965, it is the diary of her bicycle trek from Dunkirk, across Europe, through Iran and Afghanistan, over the Himalayas to Pakistan and India. Murphy's immediate rapport with the people she alights among is vibrant and appealing and makes her travelogue unique. 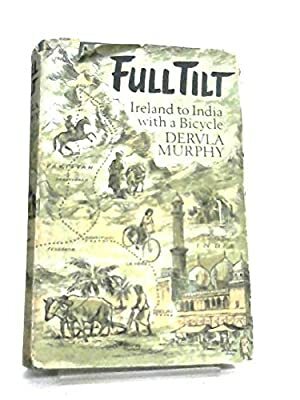 Venturing aloneaccompanied only by her bicycle, which she dubs Rozthe indomitable Murphy not only survives daunting physical rigors but gleans considerable enjoyment in getting to know peoples who were then even more remote than they are now.--Publishers Weekly. ""This book recounts a trip, taken mostly on bicycle, by a gritty Irishwoman in 1963. Her route was through Yugoslavia, Turkey, Iran, Afghanistan, Pakistan, and ended in New Delhi. She carried a pistol, got sunstroke, and suffered the usual stomach disorders. She endured bad accommodations but reaped much local hospitality, too, including a dinner with the Pakistani president. Most of the book concerns the high mountain country of Afghanistan and Pakistan...A spirited account."" --Library Journal.